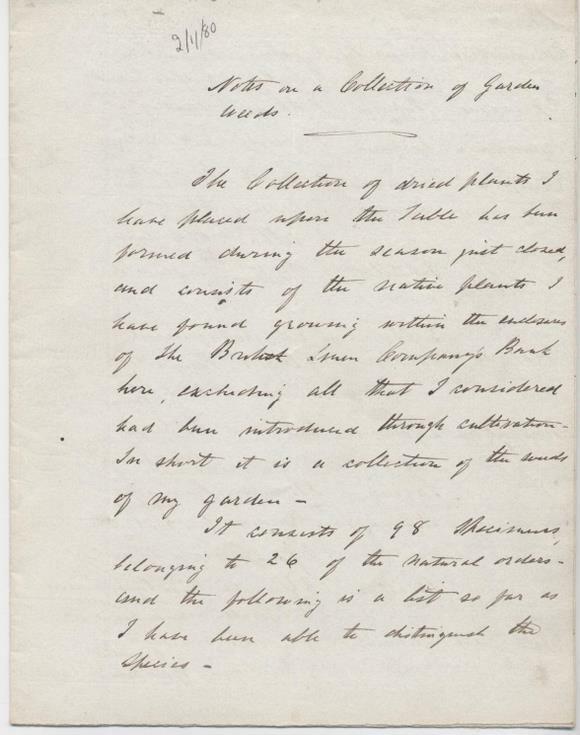 Notes on a Collection of Garden Weeds by Mr Traquair, 2 Nov 1880. Notes to accompany a talk to the Field Club with the scientific and common names of 98 specimens collected by Mr Traquair. Two folded sheets.